Today, organizations stores information(data) in different database systems. Each database system has a set of applications that run against it. This data is just bits and bytes on a file system – and only a database can turn the bits and bytes of data into business information. Integration and consolidation of such information(data) into one database system is often difficult. Because many of the applications that run against one database may not have an equivalent application that runs against another. To consolidate the information into one database system, we need a heterogeneous database connection. In this post, I’ll demo on how you may connect PostgreSQL to one of heterogeneous database Oracle using different methods. Open DataBase Connectivity(ODBC) is a standard software API for using DBMS. The ODBC driver/ODBC Data source(API) is a library that allows applications to connect to any database for which an ODBC driver is available. It’s a middle layer translates the application’s data queries into commands that the DBMS understands. To use this method, an open source unixODBC and Oracle ODBC driver(Basic/ODBC/Devel) packages required. Along with a module in PostgreSQL that can communicate to DSN created using unixODBC and Oracle ODBC driver. Few years back CyberTec has released a module ODBC-Link, at present it is obsolete, however, it has a dblink-style implementation for PostgreSQL to connect to any other ODBC compliant database. We can use this module for basic connectivity to Oracle. Let’s see. Installation will create a ODBC-Link module SQL file in $PGHOME/contrib directory. Load the SQL file, which will create a schema by name “odbclink” with necessary functions in it. [root@172.16.210.163 ~]#su - postgres [postgres@172.16.210.163 ~]$ export ORACLE_HOME=/usr/lib/oracle/11.2/client64 [postgres@172.16.210.163 ~]$ export LD_LIBRARY_PATH=/usr/local/unixODBC-2.3.4/lib:/usr/lib/oracle/11.2/client64/lib [postgres@172.16.210.163 ~]$ export ODBCINI=/etc/odbc.ini [postgres@172.16.210.163 ~]$ export ODBCSYSINI=/etc/ [postgres@172.16.210.163 ~]$ export TWO_TASK=//pg.raghav-node1.com:1521/ORA11G [postgres@172.16.210.163 ~]$ dltest /usr/lib/oracle/11.2/client64/lib/libsqora.so.11.1 SUCCESS: Loaded /usr/lib/oracle/11.2/client64/lib/libsqora.so.11.1 [postgres@172.16.210.163 ~]$ /opt/PostgreSQL/9.5/bin/pg_ctl -D /opt/PostgreSQL/9.5/data/ stop -mf [postgres@172.16.210.163 ~]$ /opt/PostgreSQL/9.5/bin/pg_ctl -D /opt/PostgreSQL/9.5/data/ start [postgres@172.16.210.163 ~]$ psql psql.bin (9.5.2) Type "help" for help. Cool right…!!!. For retrieving and manipulating data refer to ODBC-Link README file. Oracle_fdw provides an easy and efficient way to access Oracle Database. IMO,its one of the coolest method to access the remote database. To compile Oracle_FDW with PostgreSQL 9.5, we need Oracle Instant Client libraries and pg_config set in PATH. We can use the same Oracle Instant Client libraries used for ODBC-Link. Let’s see how it works. Now switch as ‘postgres’ user and restart the cluster by loading Oracle Instant Client libraries required for oracle_fdw extension and create the extension inside the database. [postgres@172.16.210.161 9.5]$ export ORACLE_HOME=/usr/lib/oracle/11.2/client64/lib [postgres@172.16.210.161 9.5]$ export LD_LIBRARY_PATH=/usr/lib/oracle/11.2/client64/lib:$LD_LIBRARY_PATH [postgres@172.16.210.161 9.5]$ /opt/PostgreSQL/9.5/bin/pg_ctl -D /opt/PostgreSQL/9.5/data/ stop -mf [postgres@172.16.210.161 9.5]$ /opt/PostgreSQL/9.5/bin/pg_ctl -D /opt/PostgreSQL/9.5/data/ start [postgres@172.16.210.161 9.5]$ psql Password: psql.bin (9.5.2) Type "help" for help. First, switch as “enterprisedb” user, load the libraries and restart the cluster. That’s all, we are good to access Oracle database. [enterprisedb@172.16.210.129 ~]$ export LD_LIBRARY_PATH=/usr/lib/oracle/11.2/client64/lib [enterprisedb@172.16.210.129 bin]$ /opt/PostgresPlus/9.5AS/bin/pg_ctl -D /opt/PostgresPlus/9.5AS/data/ restart [enterprisedb@172.16.210.129 bin]$ psql psql.bin (9.5.0.5) Type "help" for help. Note: EPAS connects to the Oracle Database using Oracle Instant Client library “libclntsh.so”. If you won’t find the library in Oracle Client Library location then create the symbolic link with libclntsh.so pointing to the libclntsh.so.version.number. Refer to documentation. In the example, dblink_ora_connect establishes a connection to an Oracle database with the user-specified connection information. Later using link name(‘oraconn’ in my case) we can perform operations like SELECT,INSERT,DELETE,UPDATE & COPY using dblink_ora* functions. All functions you can refer from the EnterpriseDB documentation here. PreviousPrevious post: Compiling write-able mongo_fdw extension on binary format of PostgreSQL installation. NextNext post: How to rotate PgBouncer logs in Linux/Windows ? @Unknown, Regarding procedure, I have never tried it and I don&#39t think that feature exists in any of the methods I have articulated in this blog. Excellent post.. 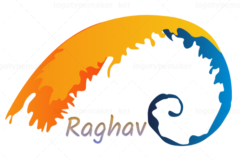 Thank you so much Raghav for very helpful handy information.I have two questions, please if you could answer:1. Do I need to install unixODBC and Oracle ODBC drivers on the server where PG/EPAS is running?2. Whether 3 RPMs/ODBC drivers which you have used in this post are the same as the Oracle Instant Client which we download from Oracle website: http://www.oracle.com/technetwork/database/features/instant-client/index-097480.html oracle-instantclient11.2-basic-11.2.0.1.0-1.x86_64.zip Thanks for to answer my questions. Thank you for your prompt revert. Once again thanks for this post. If the function "dblink_ora_connect" doesn&#39t exist then how to load it?